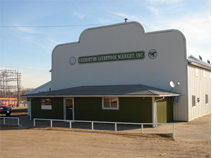 Creighton Livestock Market was established in 1942 when several businessmen on main street got together and sold shares to establish a market in Creighton. Several surrounding communities already had markets, and these men wanted to try to keep the farmers coming to their town. 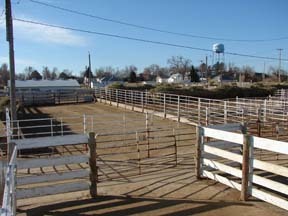 The committee purchased the local livery barn, bought a scale to be installed, started building pens, and hired a manager. Harry Reese was hired to manage the market that opened for business the first of August, 1942. Eventually the Reese family gained ownership of the market, and operated it through the late 50’s. The market is presently owned by Ryan Creamer, Warren Diedrichsen, and Richard Suhr, with several key employees who have been associated with the market for over 20 years.